"Who am I? What am I?" Though the Pokémon series will always be a video game franchise first and foremost, the anime is arguably the second most important pillar, following the adventures of Ash Ketchum and his ill-fated quest to try winning a Pokémon league. The first movie based on the anime was Pokémon The First Movie: Mewtwo Strikes Back, and just about every year since has seen the release of another movie. Today, this year’s Pokémon movie—Pokémon the Move: Everyone’s Story—saw its debut in Japan, and at the end of it, a teaser was included for next year’s movie. Masachika Ishimura, the original voice of Mewtwo is heard saying “Who am I? What am I?” before a title card is shown for the first movie with “Evolution” tacked on to the corner. Perhaps this new film will delve deeper into Mewtwo’s Mega Evolution forms? Only time will tell. What do you think? Which Pokémon movie is your favorite? Do you still watch these much? Share your thoughts in the comments below. Sounds more like a retelling/remake of the First movie, only set in the new Movie-verse started in I Choose You. My favorite Pokemon movie is Destiny Deoxys, though Mewtwo Strikes Back is a close second. I know my kids have seen almost every movie, I've seen about half and enjoyed about half of those, but I'm not sure I've ever seen this one. I'm looking forward to it. hmm... this could be interesting. i've seen the old mewtwo movie when i was really young and really enjoy it. can't wait to hear more! I am REALLY hoping this turns out to be an awesome movie, and the fact that they reference the exact same title as the first pokemon movie makes me think that this could be a sequel, or at least remake of some sort of it. I thought the original Mewtwo Strikes back was the best film in terms of animation... At least until I Choose You and Everyone's Story. My best guess is it's an anniversary Rerelease of the original movie otherwise why use the same logo? Also, this is very wierd, but I noticed that on this specific article Nintendo Life has a black/gold theme while on the main page and every other article I read it's Black/Red. Umm...? 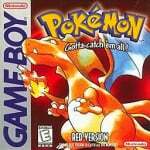 At this rate they'll remake everything they made for the first gen. I'll be waiting for the pokemon snap and pokemon stadium remakes. Perhaps we will see the mega evolutions return. I think we saw one in the Genesect movie(?) but they could be back. Or Shadow MewTwo from Pokken. The interesting thing is the implication for the video game and card game if that does happen, as that was a mega evolution, which barely features in the current meta. I've only seen maybe 2 or 3 of the Pokemon movies but I actually own Mewtwo Strikes Back. I bought an imported DVD because it released in the US before it even got to theatres in the UK. I've enjoyed the few Pokemon movies I have watched and the animation series has been a favorite at my house for some time now . I never like Mewtwo Strikes Back but I do enjoy Mewtwo Returns though. Leave it up to Nintendo to continue making movies about Mewtwo always coming back using Star Wars references. Idk, the original was so good, it’s hard for me seeing them improving it. It managed to ask deep philosophical questions and manages to have a compelling conflict without an actual villain. No extra bells and whistles. Actual questions of existentialism, cloning, greater purposes, and how to handle living in a flawed world. Mewtwo may have been the antagonist but he wasn’t a villain. Heck the first three movies were gold in their own ways. 2000 was a great story about how one person can accomplish a lot (though the weakest movie of the three still) and the third movie was basically... life isn’t fair, some people get really screwed over, and death is horrible... but you can’t just hide away and pretend things didn’t happen, it’s about accepting loss and growing instead of freezing. Really, I see how they want to cash in on nostalgia recently but it’d be much better for them to try to write compelling new movies, they have enough characters to come up with any plot. Mewtwo Strikes Back is a pretty solid story that doesn’t need a revision, maybe improved animation could help but if they do stuff like add mega evolution they’re gonna undermine the message, it wasn’t good because “cool Pokémon”, it was good because of its focus on character growth (of Mewtwo specifically). If this is a reimagining of the original film, it better make kids and adults cry like the original did! Otherwise, I'll just show my future kids the original. The first and best Pokemon movie there ever will be. "A human sacrificed himself to save the Pokémon. I pitted them against each other, but not until they set aside their differences did I see the true power they all share deep inside. I see now that the circumstances of one's birth are irrelevant. It is what you do with the gift of life that determines who you are." I love the first movie, but Pokemon 2000 was one of the first films I ever saw in what was then, the new theater in town and it was really cool. Also loved the music. After Pokemon 4ever I kind of fell off the wagon, I've gone back and watched the movies from gen 3 and 4 but that's all. All the movies from the Black and White era on I haven't watch. Though I do want to watch the XY stuff. Oh man, I saw the original in theatre when it came out. Got a limited edition Mew card for the TCG, too. There was a card shop next to the theatre, so dad took me there first so I could trade cards before the movie started. Good times, fantastic movie. “Brother, My Brother” still gives me goosebumps, and the sound track is one of only 25 or so CDs I ever bought. "Who am I? What am I? Where am I?" 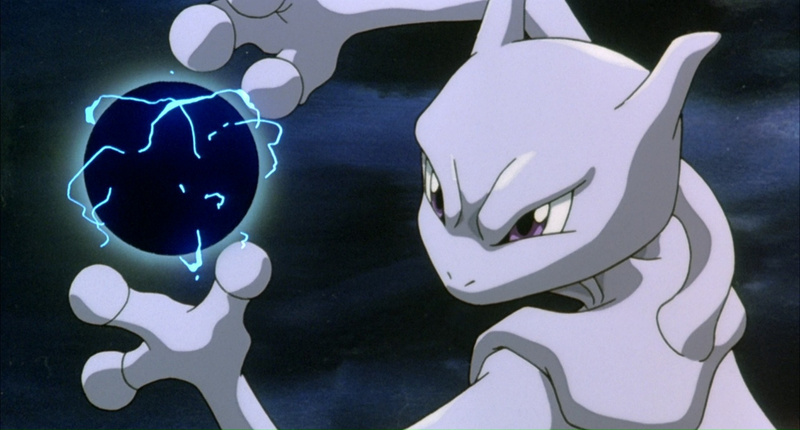 Mewtwo Strikes Back and The Power Of One (2000) still remain my favorite Pokemon movies, though I haven't really watched any past Destiny Deoxys. Those first two hit you right in the feels and were really well done IMO. I've been out of the Pokemon movie watching loop for some time now. I usually stick with movies 1 though 5, but have good memories of Destiny Deoxys. I did see Genesect and the Hoopa one but found them too mediocre, at least for my taste. Probably comes from the fact that I hate how Ash looks and sounds like and pretty much dislike every other character that isn't Pikachu. My second favorite movie, after Lucario and the Mystery of Mew. There's still plenty of room for improvement on it.It'd be nice if they played up how out of touch with Mewtwo's plight Mew is for one, the other trainers who showed up were rather flat and could easily be made more interesting, and obviously the animation will be taken a step up. Plus, the original american release butchered some of the heavier themes in it (though it did make certain parts better than the original in exchange, especially the quips). Suffice to say, I'm very interested, but we'll see how well it's done. @ShadJV Given how much I Choose You covered the first episode in 10 mins and then buggered off to do its own thing with the odd nostalgia moment like Charmander, Bye Bye Butterfree, etc., this remake/re-imagining/whatever will probably almost be like a different movie all together. Only Pokemon movie I ever cared for. It's cheesy, but the film hits just the right notes for me. Tell what are we fighting for? we'd got to end this war. @Ralizah True. It felt geared towards adults with its military-esque, civil war themes.